When you learn, you open your mind to new ideas, you improve your analytical skills and you become a more well-rounded person. Historically, the Jewish people have always been education-oriented. We know the value in learning something new and the joy that comes with teaching it to someone else. Sadly, with the stresses of the modern world and the overwhelming pressure to be a financial success, learning to improve oneself spiritually and intellectually has in many cases been put aside. I consider this a great tragedy of the modern era. When you learn, you open your mind to new ideas, you improve your analytical skills and you become a more well-rounded person. Now, the second problem is that, even if you want to learn just to learn, there are not many opportunities to do so. One of the best run programs is Dirshu, an educational organization that held a convention from January 11-January 13. 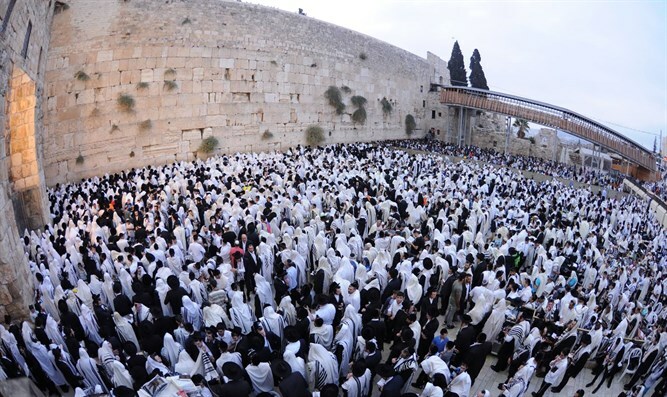 This celebration, which also served as a siyum to mark the end of an area of study, drew thousands of students of all ages, occupations and levels of religiousness together, united in the joy of learning Jewish texts for no purpose other than to be learned. Benjamin Franklin is quoted as having said: “Tell me and I forget; teach me and I remember; involve me and I learn.” Dirshu does not just teach Talmud and Torah to its students, it draws them in and sets them as the guardians of their own learning. Though they are provided with study texts and given tests, many students meet with study groups through the program and develop their own study schedule. All this hard work then culminates in a test. I have had the pleasure of learning about some of the varied men who study with Dirshu in the United States and I am consistently blown away by their enthusiasm and descriptions of how the program has improved their lives. One convention attendee, Binem Naiman, has been studying with Dirshu for two years. The busy owner of Brooklyn restaurant Glatt A La Carte told me that Dirshu “is an amazing thing,” having profoundly changed his life in the short time he has studied with them. Off of the recommendation of friends, Binem began studying with Dirshu and now finds himself entirely drawn into the process. 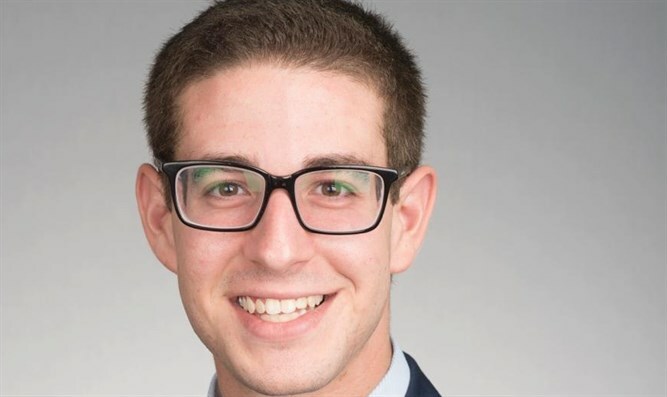 He studies with three different study groups, studies at night and on Shabbat he reviews what he learned during the week. “Knowing you will be tested on the material gives you a push,” Binem said — indeed, it pushes him to spend one whole month prepping for each test. In addition to enjoying the structure, Binem relishes getting to interact with Jews from all walks of life. In his various study groups, he studies with people who have diverse careers such as a produce seller, an elementary school teacher, a successful real estate professional and a retired principal. Even the rabbi of one of his study groups takes the tests like everyone else! Dirshu’s system of group studying and regular tests is what draws most people to the program and keeps them coming back. Motty Gross, who has been studying with Dirshu for three years said that, with the tests, you can ensure you really know the material before you move on. In order to pass each test, Motty studies six hours each day — despite being a busy businessman — and always studies each page at least six times before taking the test. Thanks to these tests, many teachers find fulfillment in Dirshu, as it allows them to keep honing their learning skills as they inspire others to learn. Shaya, a teacher from Brooklyn, has studied with Dirshu for six and a half years. “I love the tests because they keep you on your feet and always moving forward,” Shaya, a Sephardic Jew, said. And it is not just the students who love the program — their wives love it, too. Shaya’s wife, who is a high school teacher, loves the program because, she said that it gives her husband a sense of accomplishment. Binem’s wife, Toby, does everything she can to support her husband in his studies. The tests are given Sunday nights, which happens to be the busiest night his restaurant business. To ensure her husband has the time to take the tests and excel, Toby, who herself is a teacher and busy homemaker, comes into the restaurant to assist him. Having their wives’ support and using their newfound skills to improve their lives and relationships, is so rewarding for the Dirshu students but what seems to matter most of all, remains the studying itself. “Nothing satisfies me more than to study God’s word,” Motty said. Additionally, Binem said, “The Talmud sharpens a person’s head." He went on to say that learning and specifically Dirshu, keeps him from getting distracted by unimportant things that people get distracted by nowadays. With his views on education, I think Benjamin Franklin would have jumped at the chance to study with a program like Dirshu. Knowing his proclivity for amusement and company, he also would have greatly enjoyed the convention this past weekend.